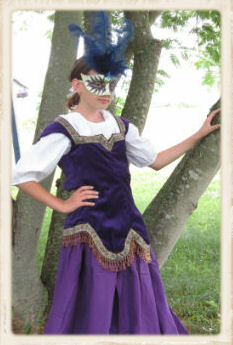 Our Jeweled Bodice for Girls is perfect for the princess who likes to show off anywhere and everywhere. The bodice is lined in 100% cotton twill, and laces up the back. We recommend you wear the bodice with one of our Gathered Peasant Skirts for Girls and our Classic Chemise for Girls (each sold separately).